Don’t forget to pull out your calendar and mark June 25 as a day not to forget. 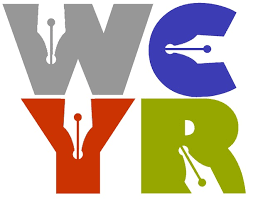 The Writers’ Community of York Region (WCYR) is proud to present The Bookshelf, held in the Lions Hall & Community Centre at the Newmarket Farmers Market. After you load up on your veggies, come in and meet vegetarian author Cynthia St-Pierre, co-author of A Purse to Die For and A Killer Necklace, the first two books in the Fashionation with Mystery series. Not only does Cynthia write wonderful mysteries, she ghost-writes a vegetarian blog on behalf of her detective Beckie Green. If you want to find new and interesting veggie recipes, check out https://vegetariandetective.blogspot.ca. Not only has Cynthia won an award for her writing, she has also received a York Regional Police Citizens Awareness Program certificate, presented and signed by Julian Fantino, former Commissioner of the Ontario Provincial Police. What a feather in the cap of any mystery writer! Make your way to the Market and into the Community Centre to meet Cynthia and numerous other authors. You’re certain to find some exciting books and discover a new, soon to be famous, local author.